The capital city of Donetsk oblast. Related articles: Donetsk Donbass Arena - EURO 2012 stadium. 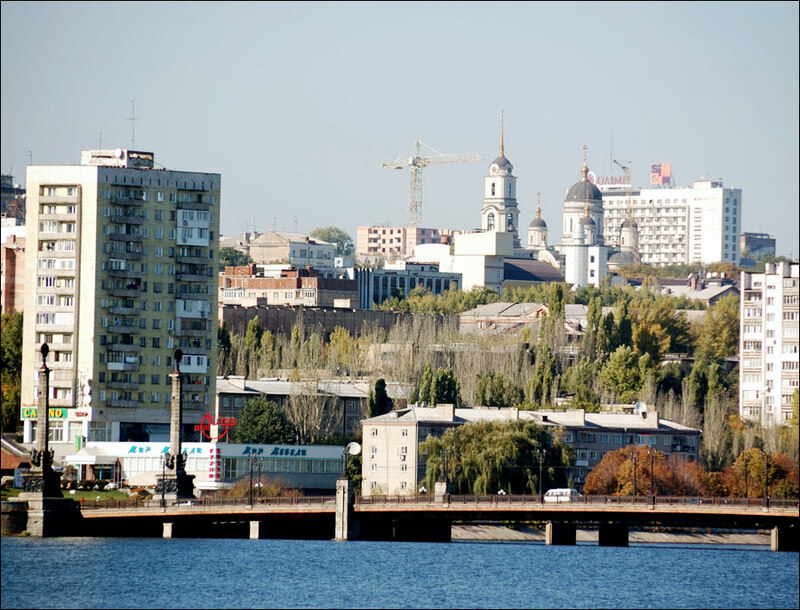 Donetsk is a large city located in the east of Ukraine, the administrative center of the Donetsk region. Since April 2014, the city is controlled by the self-proclaimed Donetsk People’s Republic and is considered by it as the capital. 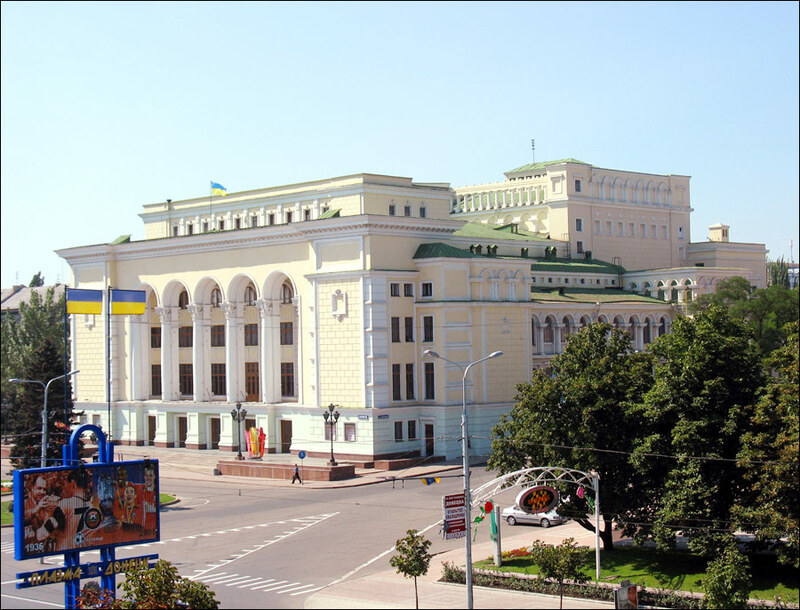 Today, the actual administrative center of the Donetsk region is Kramatorsk. The population of Donetsk is about 850,000 (2016), the area - 385 sq. km. Local time in Donetsk city is April 21, 5:53 pm (+2 UTC). 26 December, 2018 / Sviatohirsk Lavra - the Most Picturesque Monastery of Ukraine. 3 June, 2018 / Fly over The Holy Mountains Lavra in Sviatohirsk. 20 December, 2016 / Svyatohirsk - a town with unique sights. 9 August, 2014 / Svyatogorsk Holy Dormition Lavra. 13 May, 2014 / Ukrainian warm summer is coming. The Donetsk People’s Republic was proclaimed when the local governmental buildings were seized by protesters in 2014. The referendum on independence of the republic was held on May 11, 2014. Ukraine didn’t recognize this referendum as legitimate. The European Union and the United States consider it illegal. As a result, the territory of the region became a place of armed conflict between the armed forces of Ukraine and the people protecting the self-proclaimed republic. Today, this conflict is not resolved. The future of the region is unclear. It is not recommended to visit Donetsk because it is very unsafe, especially for foreigners. Citizens of Ukraine who remain in this territory have to leave the conflict zone to obtain official documents. To leave/enter the conflict zone, a special pass is required, it is issued free of charge. In 1869, an iron-works was founded there by the Welshman John Hughes (from whom the town’s pre-revolutionary name Yuzovka was derived), to produce iron rails for the growing Russian rail network. The plant used coal from the immediate vicinity, and both coal mining and steel making developed rapidly. By 1914, there were 4 metallurgical plants and 10 coal-pits in the town. The population was about 50,000 people. After 1917, Yuzovka was renamed Stalino and, in 1961, Donetsk. Heavy destruction during the World War II led to the postwar modernization and increase in the scale of industry. Subsequent growth of Donetsk was rapid and sustained. Today, there are more than 40 coal-pits within the city limits. 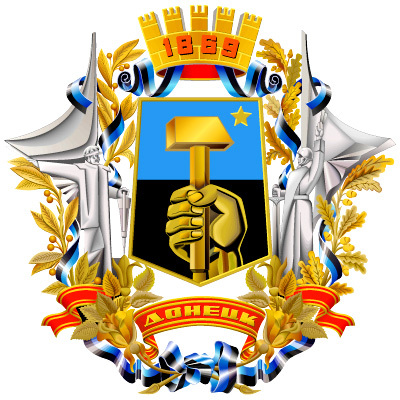 Donetsk is one of the largest metallurgical centers in Ukraine. Donetsk is a green city with a lot of parks and boulevards. There is a botanic garden, which is open all year round. Reconstruction of the Kalmius River embankment was finished in 2009. Pollution caused by plants concentrated on a small area and plants of the Donetsk agglomeration form steady smog. It covers the city with dark violet smoke almost all year round. Heavy air pollution is partly compensated by an abundance of greenery. Over 50% of the total city territory is occupied by it. The micro climate is favored by 30 ponds and water reservoirs with the total territory of more than 600 hectares, both within the city limits and on its outskirts. 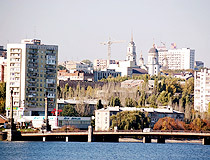 The climate in Donetsk is moderately continental with hot, arid summers and sometimes cold winters. The average temperature in July is plus 21.6 degrees Celsius, in January - minus 4 degrees Celsius. In 2012, a new terminal of the Donetsk International Airport was opened with a four-kilometer runway and a new dispatch tower. As a result of months of fighting, which continued from May 2014 to January 2015, the airport buildings and facilities were completely destroyed. In total, there are more than 250 monuments of cultural heritage in the city. Artem Street running from the railway station to the steelworks is the main attraction of Donetsk. This street with a lot of shops, hotels, administrative buildings is 5.5 miles (9 km) long. 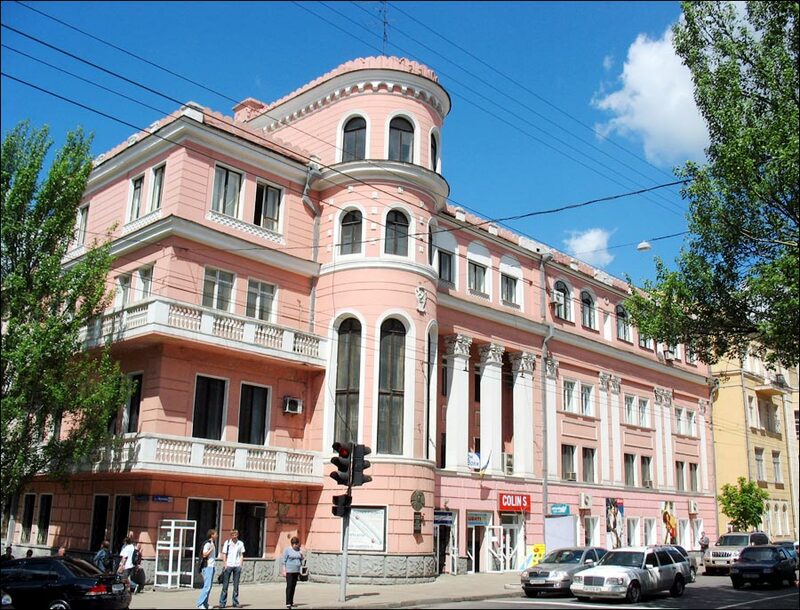 There are about 140 museums and museum rooms in Donetsk. Local History Museum. The museum is housed in a modern building located near the “Donbass Arena” stadium. Its extensive exhibition, presented in 24 halls, has about 120 thousand exhibits: various fossils, archaeological collection, weapons, ornaments and amulets, numismatic collection, ethnographic collection. The most valuable exhibits are rare old books. 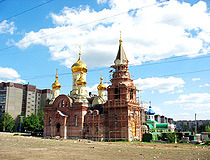 Chelyuskintsev Street, 189-a. Opening hours: 10:00-18:00. Museum of Art. The collection includes about 11,500 works of painting, drawing, sculpture, decorative arts. In particular, the paintings of artists from Russia, Italy, Holland, France, and Germany are presented. The collection of crafts of ancient Greece and Rome (vases, dishes of various shapes and purposes, lamps, glass and bronze wares) are of particular interest. Pushkin Boulevard, 35. Opening hours: 8:30-17:00. Days off: Monday, Tuesday. Museum of the Donetsk Railway. 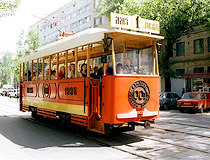 The museum of the history and development of the Donetsk Railway is one of the few museums of this type in Ukraine. 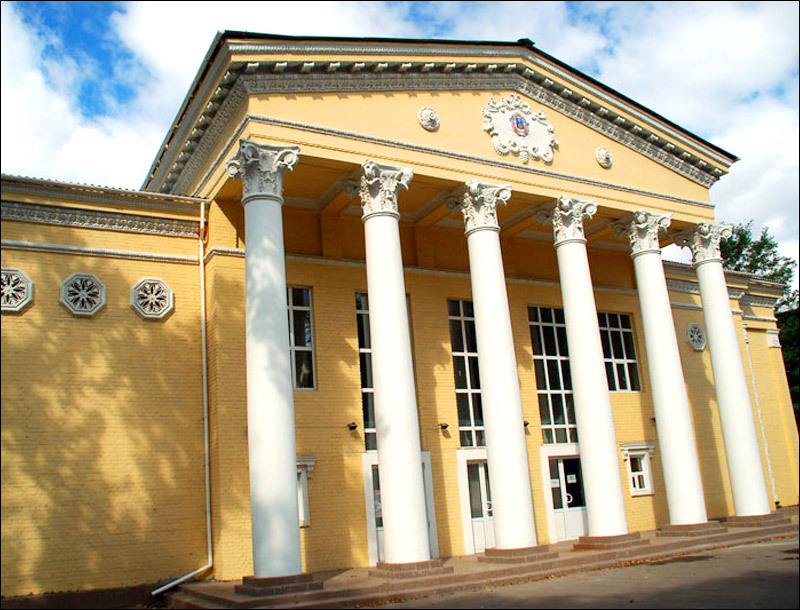 It is located right at the railway station - in the former locomotive depot of Yuzovka railway station (1872). The museum was opened in honor of the 130th anniversary of the railway in 2000. The exposition has more than 6.5 thousand exhibits. Among the main exhibits are rare locomotives and railway cars of 1930-1950. Artemovskaya Street, 47. Opening hours: 9:00-15:00 (break - 12:00-13:00). Days off: Saturday, Sunday. Museum of the History of Donetsk Metallurgic Plants (Tkachenko Street, 122). Donbass Arena Stadium. 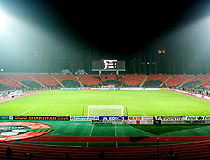 It is Ukraine’s first stadium built for the European Football Championship 2012 in accordance with the standards of the UEFA Elite Category (five stars). Due to its unusual design (the effect of a floating roof), the stadium is shaped like a “flying saucer”. The complex houses three restaurants, several bars, a fitness center, and a museum of FC “Shakhtar” with a multimedia exhibition and a gift shop. On the square in front of “Donbass Arena”, the Soccer Ball fountain is set - a 28-ton ball with a diameter of 2.7 meters is spinning because of water pressure. It is considered to be the largest spinning granite ball in the world. Next to the stadium, there is a park with fountains, ponds, and a rock garden. The total area of the park is about 2.5 hectares. 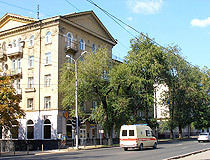 Chelyuskintsev Street, 189-e. Opening hours: 10:00-17:00. Park of the Forged Sculptures. 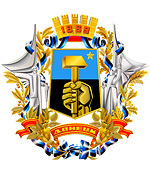 The best works of blacksmiths of the Donbass region are collected there. The garden of fairy tales with wooden sculptures of fairy-tale characters is located nearby. Artem Street, 98. Shcherbakov Park. The park of culture and rest named after A. Shcherbakov is the central park of Donetsk located in the Voroshilov district, on the banks of two ponds, near the old stadium “Shakhtar”. The park occupies an area of 62 hectares. The central entrance to the park is from University Street. A long pedestrian bridge over the pond #1 is considered the most romantic meeting place of lovers. By tradition, newlyweds hang locks on the railing of this bridge as a symbol of eternal love. In the middle of the park, there is a statue called “The Kind Angel of the World”. On the right, you can find children’s rides, a Ferris wheel, rollerdrome, and a boat station. On the left, the main fountain of the park and the largest rose garden in Ukraine are located. Stadionnaya Street, 1-d. Opening hours: 8:00-24:00 (in winter: 10:00-21:00). Day off: Monday. Botanical Garden. Donetsk botanical garden is one of the largest in Europe. It was established as a research institute in 1964. The collection has more than 8 thousand plants of 2 thousand species. Thanks to this garden, Donetsk is considered to be one of the greenest industrial cities in the world. There is a winter greenhouse. Ilyich Avenue, 110. Opening hours: May-October (greenhouse - all year round), 10:00-16:00. Day off: Monday. Dolphinarium “Nemo”. This year-round dolphinarium is part of the national network of cultural and recreation centers “Nemo”. You can watch dolphins through special “windows” in the foyer. The show “With Love to Nature” involves bottle-nose dolphins, South American fur seals and a sea lion. In addition to shows, you can swim and dive with dolphins. Also, sessions of dolphin therapy are being held. Colorful night shows are held during various celebrations. The dolphinarium is open in any weather. 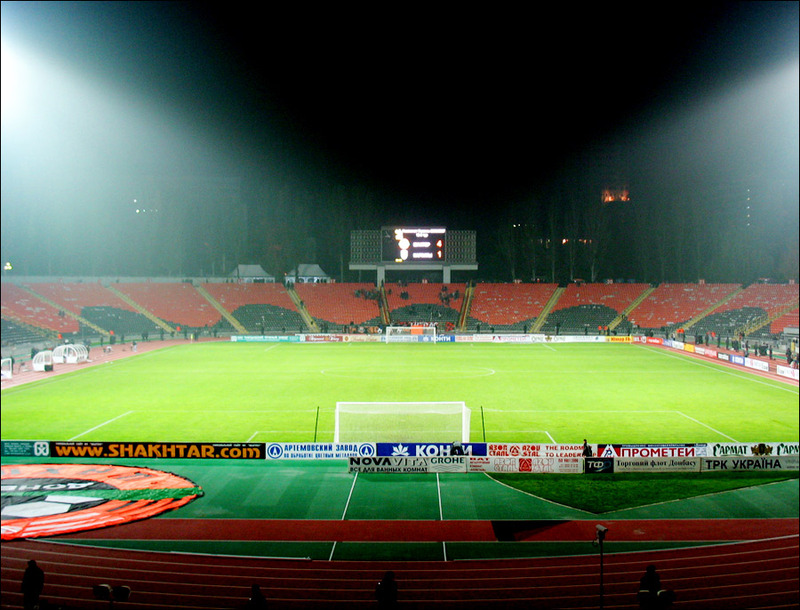 Stadionnaya Street, 1-d, Shcherbakov park. Shows start at: 12:00, 15:00, 18:00. Royal Marine Water Park. This water park was opened in 2012. It has an open aqua zone with swimming pools and rides, as well as an indoor entertainment zone, which is covered by a transparent dome with a diameter of 85 meters and a height of 24 meters. Thus, the water park is able to work at any time of the year, and in all weather conditions. Solovianenko Street, Shcherbakov park. Mertsalov’s Palm - a replica of the famous “Mertsalov’s Palm”, which has become one of the symbols of Donbass (depicted on the coat of arms of the Donetsk region). The filigree sculpture in the form of a palm tree, forged from one steel rail at the end of the 19th century by local blacksmith A. Mertsalov, was awarded the Grand Prix at the Paris International Industrial Exhibition in 1900. 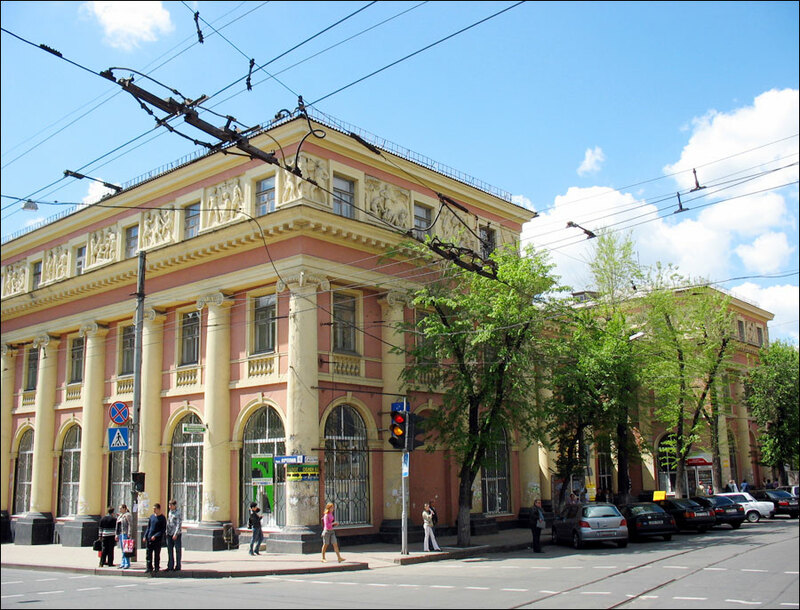 The original sculpture is located in the Museum of the Mining Institute in St. Petersburg. Several copies of this sculpture made by the blacksmith S. Kaspruk can be found in Kyiv, Lviv, Crimea, Moscow, Hanover, and Ottawa. 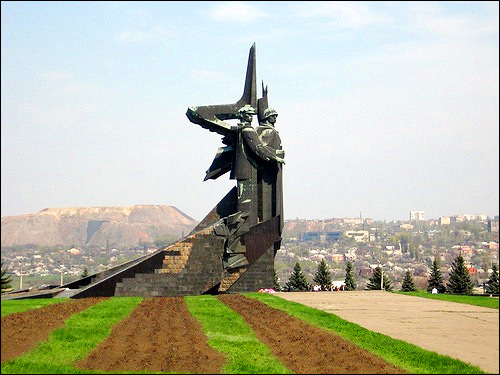 In Donetsk, the first copy was placed near the exhibition center “Expo-Donbass” in 1999. Another one was erected in the heart of the city - on Pushkin Boulevard. Tsar Cannon. This monument located on the square in front of the city council is a replica of the famous Moscow Tsar Cannon, the largest in caliber gun in the world. It was a gift from the people of Moscow to residents of Donetsk. The cannon was cast at “Izhstal” plant in Izhevsk (Russia) in 2001. The cannon is mounted on a decorative cast-iron gun-carriage, decorative cast-iron cannonballs lie next to it. The carriage weighs 20 tons, the cannon itself - 44 tons. The length of the gun barrel is 5.28 m, which is 6 cm shorter than the original. 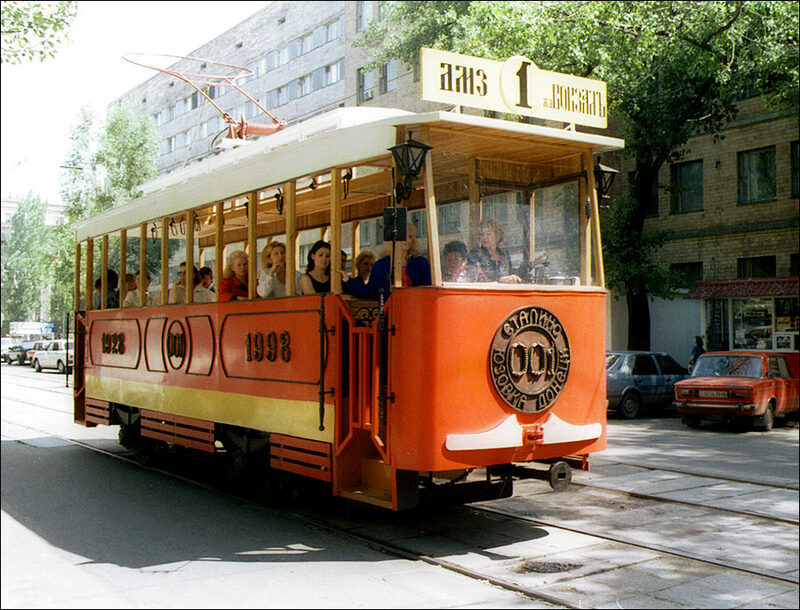 Artem Street, 98. Tunneling Machine KSP-32. It is installed near the Technical University of Donetsk. This machine was designed for underground work in mines: destruction of rocks, loading on the conveyor, etc. Artem Street, 58. Monument to the Beatles. The monument to the British rock group “The Beatles” was installed at the entrance to the entertainment complex “Liverpool”. The sculpture depicts the legendary four in characteristic poses with musical instruments in their hands. The wall behind the figures is covered with mosaics in the form of the British flag. Artem Street, 131A. Monument to Bubka. The monument to one of the greatest athletes of the world S. Bubka was erected in Donetsk in 1999. Bubka has 35 world records in the pole vault. He is a six-time world champion and an Olympic champion. The monument is placed in front of the stadium “Olympic”. This bronze sculpture depicts an athlete who is preparing for his attempt. The height of the sculpture is 3.5 meters. The pedestal has a symbolic height of 6 m 15 cm - the record set by Bubka in 1993. It remains unsurpassed till today. Artem Street, 145. Monument to John Hughes - the monument in honor of the British industrialist John James Hughes, the founder of Yuzovka. 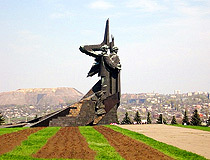 The monument was opened in the center of the campus of Donetsk Technical University in 2001. Artem Street, 96. Monument to Stratosphere Fliers. The monument to four stratosphere fliers was installed near the crash site of the Soviet stratospheric balloon. In 1938, the stratosphere fliers Ya. Ukrainsky, S. Kuchumov, P. Batenko, and D. Stolbun soared into the stratosphere in a gondola of the stratospheric balloon BBA-I to study the effect of altitude pressure on the human body. The balloon was launched from an airfield located near Moscow. The machine went out of order at high altitude - something was wrong with oxygen equipment. The balloon fell to the high-voltage line in Shcherbakov park in Donetsk and exploded. The dead crew was buried at the intersection of Pushkin Boulevard and the 25th anniversary of the Red Army Avenue. A bronze statue of a 2-meter-high stratosphere flier in a special suit was placed at the grave. Pushkin Boulevard, 2. Opera House. The building of Donetsk academic opera and ballet theater named after A. Solovyanenko, designed by the architect L. Kotovsky in the style of socialist realism, was constructed in 1941. The theater has 970 seats. 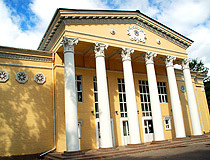 The repertory of the theater includes the plays: “Bohdan Khmelnytsky”, “Falstaff”. Artem Street, 82. Opening hours: ticket office: 10:00-19:00. Drama Theater. Donetsk music and drama theater dates back to 1927, when Ukrainian theater of workers was created in Kharkiv (the capital of Ukraine at the time). The main purpose of the theater was to carry out cultural and educational mission in the east of the country. 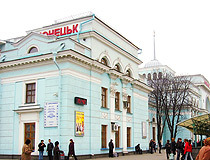 In 1933, the theater moved to Donetsk. 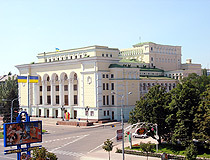 It is one of the most visited theaters in Ukraine. One of the best plays of recent years was the play “Aeneid”. Artem Street, 74-a. Puppet Theater - one of the oldest theaters in Ukraine (1933). Ilyich Avenue, 18. Pushkin Boulevard - one of the most beautiful streets of Donetsk. The boulevard was named after the Russian poet Alexander Pushkin in 1947. An amphitheater was built near the bust of Pushkin, in the central part of the boulevard. This place brings together poets, writers and other creative people. The opposite end of the boulevard was chosen by local artists. You can buy not only paintings with urban landscapes, but also all kinds of souvenirs there. The park of sculptures “Ukrainian steppe” has 11 works based on Slavic mythology created by Ukrainian and German artists. Throughout the boulevard, there are various sculptures and flowerbeds. At the intersection with Gurov Avenue, several restaurants are located. House of Hughes. The family house of John Hughes, the founder of Donetsk (Yuzovka), was constructed to the south-west of Yuzovsky Iron and Steel Works in 1873. Originally, it was a one-story house. The house was rebuilt when the family of John Hughes moved to Yuzovka from England. Two years after the beginning of reconstruction, John Hughes died, but his sons continued the work. It was completed in 1891. In 1903, Hughes family returned to England. Directors and managers of the metallurgical plant were living in the house. The building was damaged during the Second World War. It was used for various purposes until 1990. Today, the house of Hughes is located on the territory of a private enterprise. There are plans to restore the house. Klinicheskaya Street, 1. Great Britain Hotel. 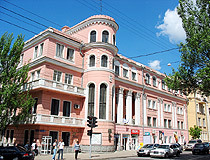 The historic hotel “Great Britain” was the first hotel opened in Donetsk. In 1883, in the city center, two-story building was constructed. Since then, the building retained its specialization. 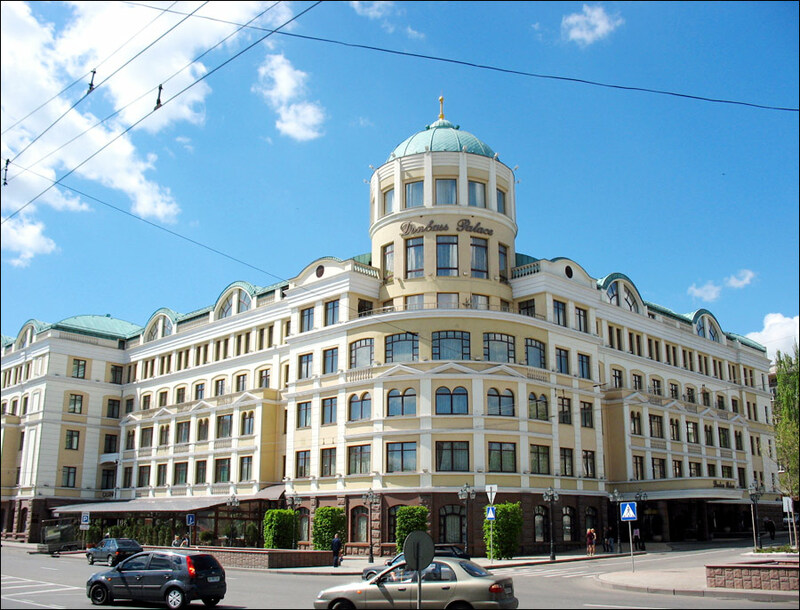 During the Soviet times, the hotel was called “October”. 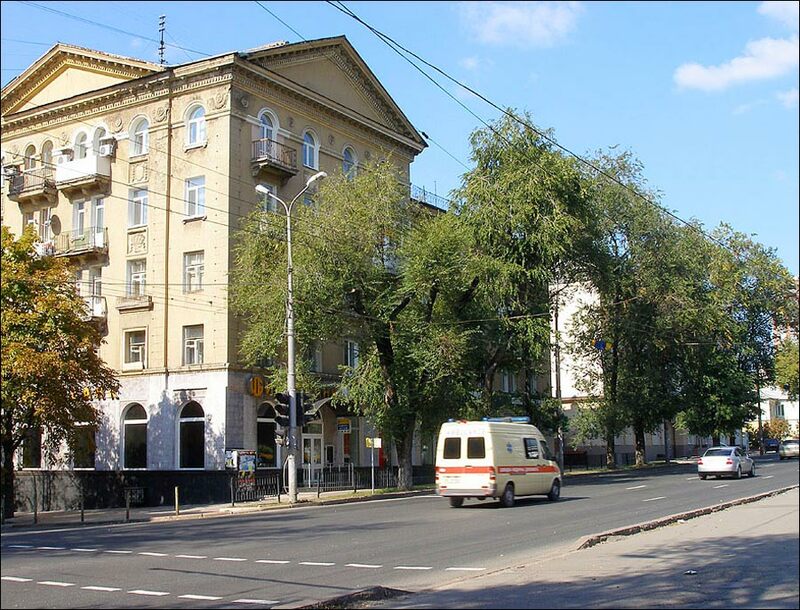 A. Kuprin, A. Serafimovich, V. Mayakovsky stayed in this hotel. Postysheva Street, 20. Donetsk Planetarium. The planetarium is located in a two-story building. Digital equipment allows creating three-dimensional images, showing topography, geological parameters, and atmospheric characteristics of the planets in the Solar system. It is possible to simulate a flight to other planets, stars, etc. Artem Street, 46-b. Opening hours: 15:00-18:00 (Saturday, Sunday - 11:00-18:00). Lenin Square - the main square in Donetsk, a pedestrian zone, and an open air place of public festivals and performances. The architectural ensemble of it was formed in 1927-1967. 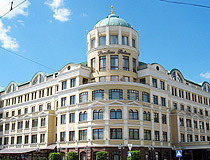 The dominant building is the former building of Ukrainian Ministry of Coal Industry. 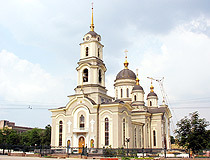 Holy Transfiguration Cathedral. 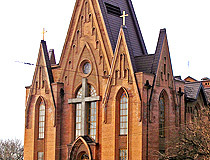 The original stone building of the church was built in 1883-1886. 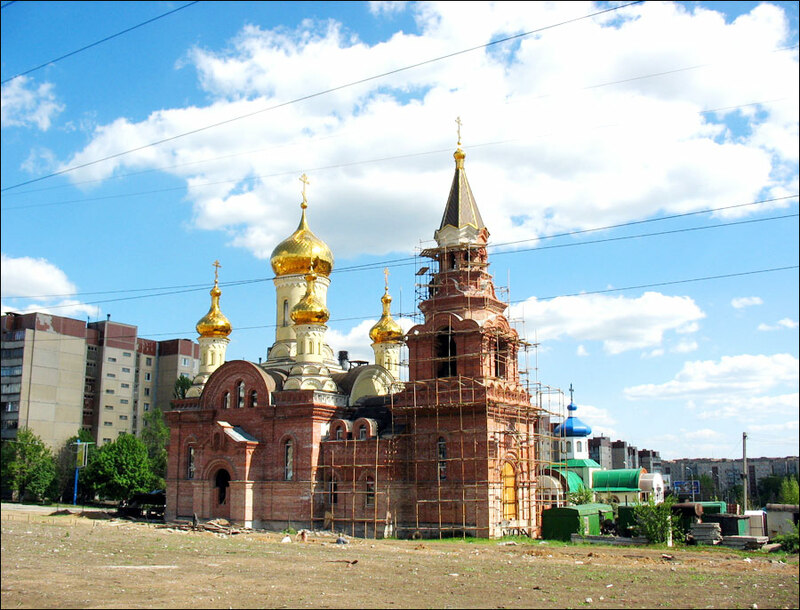 But it was destroyed during the Soviet campaign against religion in 1933. 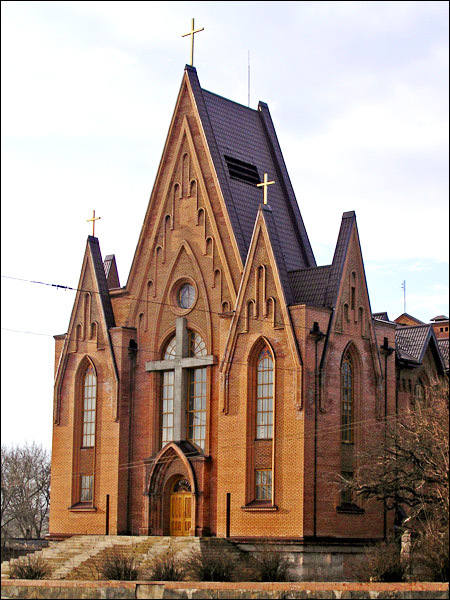 In 1992, the city council of Donetsk decided to build a new cathedral. It is not a replica of the destroyed one. The location of the cathedral is also not exactly the same. 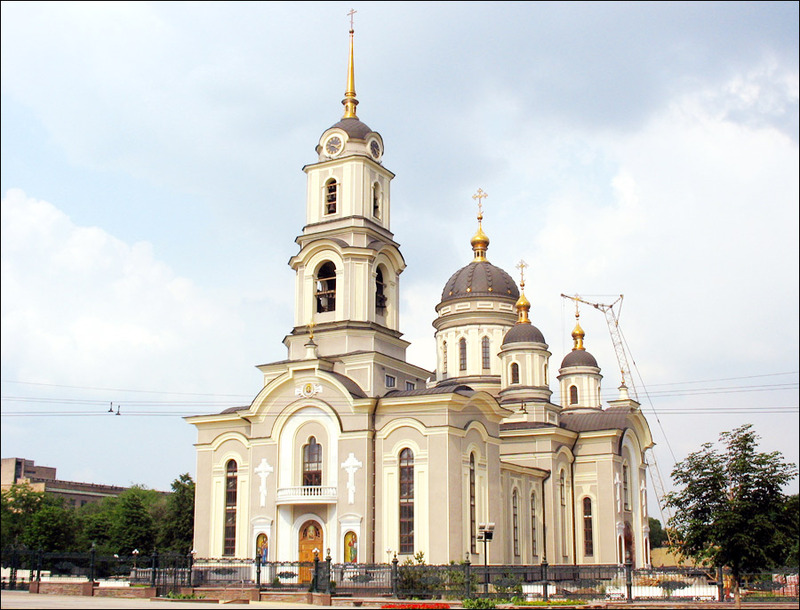 Today, it is one of the main Orthodox churches in Donetsk. Artem Street, 129-v.
Andrew asks: What is the driving distance between Luhansk and Donetsk? The driving distance between Lugansk and Donetsk is about 150 km. Chris asks: Do you have the address and phone number(s) of the Passport Office(s) in Donetsk please? 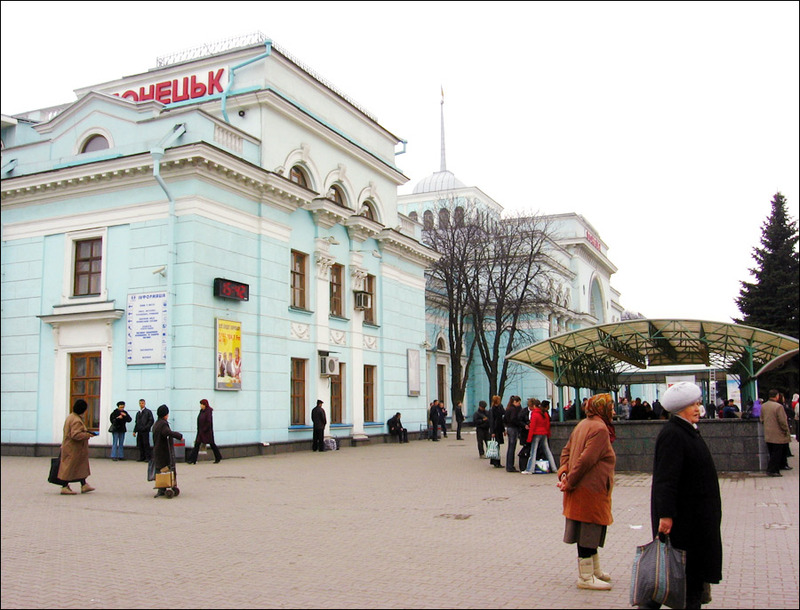 Jarrod asks: How long would it take to travel from Kiev to Donetsk and how much would it cost by train or taxi. There are some fast trains (7 hours and 150-250 USD per ticket) and slow trains (12-13 hours and 70-100 USD) running from Kiev to Donetsk. Also there is a flight from Kiev to Donetsk available (takes about 1,5-2 hours and the ticket price is about 160 USD). I really found that article informative and worthwhile. Although i went there once about six months. But haven't explored it's all attractions. After reading that thread i get enough knowledge. I have been to Donetsk '09 and '10 in September. It is a beautiful city and wonderful people. I plan to go again next year.